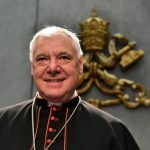 Cardinal Gerhard Müller and Archbishop Salvatore Cordileone will be in Manoppello, Italy, in order to celebrate Mass in the Basilica del Volto Santo and then to bless the Church and the world with the miraculous image of Our Lord’s countenance. 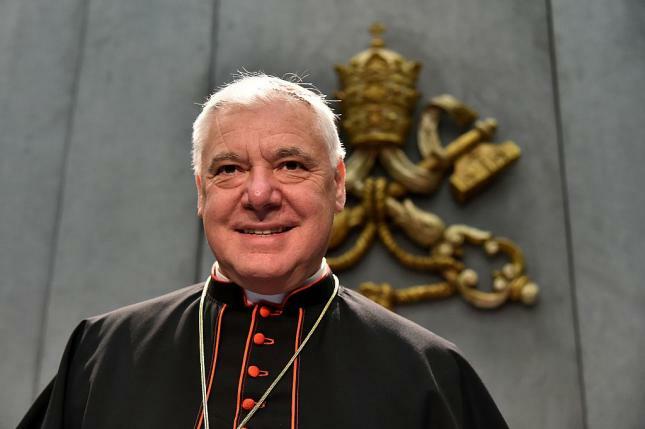 Paul Badde – author of severalbooks on the Volto Santo and Rome Correspondent of EWTN – has just interviewed Cardinal Gerhard Müller about this upcoming event. Different websites are announcing the event – at which Archbishop Bruno Forte, the local bishop of Chieti-Vasto, will also participate. The Jan. 20 event will start with an 11 o’clock Mass in the Basilica and then be followed by a procession and a blessing with the Holy Face relic. 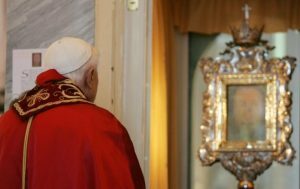 January 20 is the traditional Omnis Terra Sunday, on which, in 1208, Pope Innocent III for the first time blessed the Church and the world with this relic, which is believed to stem from the tomb of Our Lord, depicting His Face at the moment of His Resurrection. 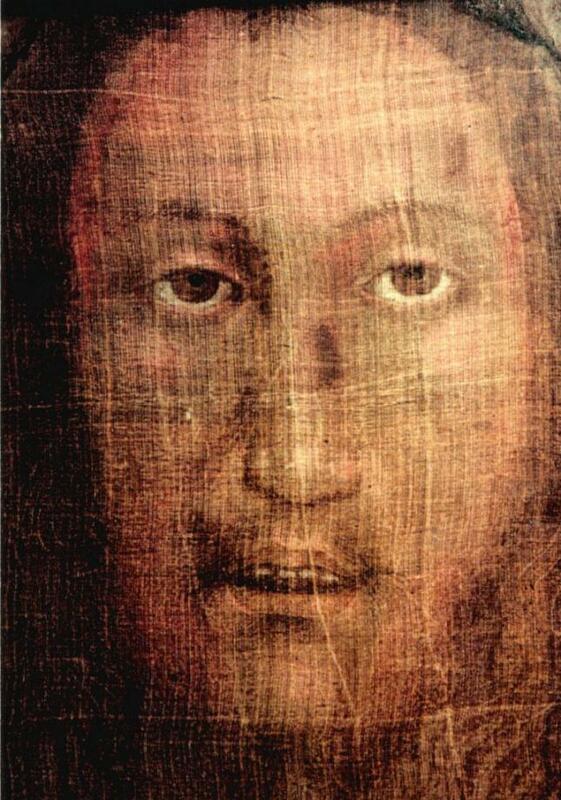 (Please see here for more information on the Holy Face and its miraculous nature – there are no paint traces to be found on this picture.) In that year, Innocent III led a solemn procession with the Volto Santo from St. Peter’s to the church of the hospital of S. Spirito, S. Maria in Sassia. The procession was to be observed annually on the second Sunday after the Epiphany. 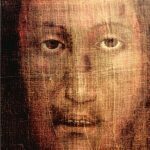 When the Holy Face became lost during the Sack of Rome (1527), this tradition stopped, only to be revived in 2016 by Archbishop Georg Gänswein, the private secretary of Pope emeritus Benedict XVI. Gänswein then carried a copy of the Volto Santo through the streets of Rome and celebrated a festive Mass in honor of this relic. In 2006 and not long after his election, Pope Benedict himself went to Manoppello, a little village in the Abruzzi mountains, in order to visit the Volto Santo and thus to honor, as Pope, this relic once more . Pope Francis, as of today, has never visited the Holy Face, but numerous cardinals have done so, among them Cardinal Joachim Meisner, Cardinal Robert Sarah, and Cardinal Kurt Koch. The bishop responsible for this shrine, Archbishop Forte, has given an interview to Paul Badde, in which he has strongly endorsed the authenticity of this sacred relic. “Even if I may not be anymore the Prefect [of the CDF],” he said, “it is still left to me the mission – as given to me in my ordination in Christ – to defend ‘the truth of the Gospels’ (Gal. 2:17).” It is in this light that Cardinal Müller said he also sees his visit to the Holy Face of Manoppello: “Therefore, it is also his [the priest’s] holy task to bless the faithful with Christ’s image, which he lifts up high. The Most Holy Trinity, the Incarnation, Christ’s Cross and Resurrection are the fundamental truths of the Christian Faith,” he explained. Holy Face of Manoppello detail of eyes. When Paul Badde asked the German prelate about his own seeming fearlessness in the face of resistance and scorn, Cardinal Müller stated that “scorn and ridicule, intrigues and evil gossip” and other such traits “are not the adornment of a true Christian.” He clearly rejected forms of “power politics and intrigues which undermine the credibility of the episcopacy and also of the Vatican.” However, he added, “we would give a good example to the world if each of us were to follow his conscience, to live according to God’s Commandments of the Decalogue and to the Beatitudes of Jesus at the Sermon of the Mount,” with the help of grace. “To pray together is better than to speak secretly evil things about others,” he said.